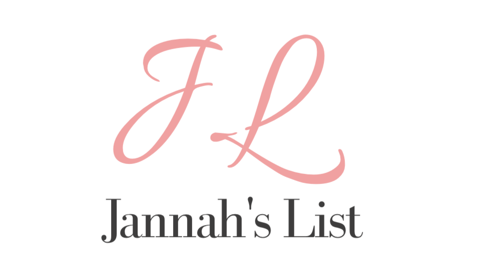 Jannah’s List is a positive online community bringing you the latest in culture, health & wellness, fashion, finance & careers, and important issues that matter most to the modern American family. Located in Washington D.C., Jannah’s List is a platform for writers and artists to create and share. We focus on supporting businesses with a cultural hook, but share anything appropriate for the modern American family. If you have an idea, cool product or own a company yourself, feel free to send an idea our way at JannahsList@gmail.com. Do you have a product or service that demands to be seen by hip Muslim parents across the country? Then become a sponsor! Our audience is comprised of PR folks, magazine editors, boutique buyers, and the coolest parents in the world. For information on our onsite advertising banners or column placements, email us atinfo@JannahsList.com for rates and packages on fixed-rate weekly ads or larger premium CPM banners. We have a dedicated email program, gift guide sponsorships, and reader giveaways that accompany reviews. (We like our readers! We like to give them things!) Please emailinfo@JannahsList.com for more info about the above opportunities or for a copy of our media kit. Jannah’s List does accept paid advertising if the ad is relevant to the Jannah’s List audience. Jannah’s List accepts forms of cash advertising, sponsorship, paid insertions or other forms of compensation.The reviews are written strictly by the writer’s.We are not paid, unless otherwise stated in the post, for these product reviews, but are given the product as a gift to test and review. Occasionally, Jannah’s List will also conduct advertising campaigns for different brands. Any products or financial compensation received for a campaign will be disclosed in the post.